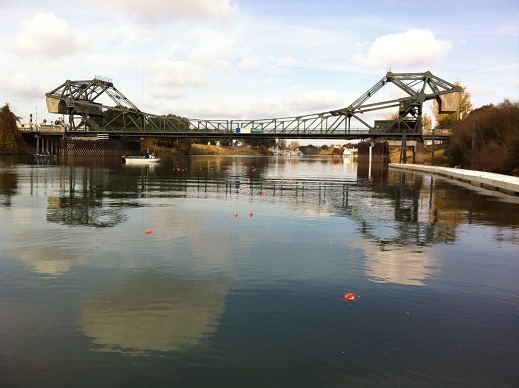 On Wednesday, May 9, 2012, the Floating Sensor Network team will conduct a major experiment in Walnut Grove, CA. We will launch the complete 100-unit floating sensor fleet and introduce real-time water sensing capabilities to the public. In the morning, there will be a press briefing in Walnut Grove followed by the inaugural launch of the Floating Sensor Network fleet. After the launch, the fleet will be cycled through the Sacramento River/Georgiana Slough environment for the rest of the day. Detailed driving directions are available here. If you are using a GPS unit or online driving directions, please be aware that the Isleton Bridge is scheduled to be closed for maintenance. If you are driving from the Bay Area, you will need to continue on Isleton Road instead of crossing the river to stay on CA-160 N. Detour signs will most likely be posted.